Hello! People often ask me, what is PrestaShop. 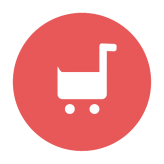 PrestaShop is a very popular software, so I’m happy to tell you more about it. But we’ll start with this: there’s lot of options that will help you to create an ecommerce website, an online store website. As with any other website builder, the ecommerce website builders can be downloadable and they can be hosted by the provider of the services, so-called the SaaS option. The downloadable options, there’s a lot more of them than the SaaS options. 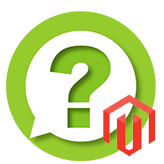 They include such big names in the industry as PrestaShop, Magento, OpenCart, VirtueMart, WooCommerce, etc. There’s a lot of, naturally. PrestaShop is from that group and it’s actually very special, it’s a lot different from the others, otherwise it won’t be so popular. For example, the first major thing about PrestaShop is that it’s free. This means you may download the PrestaShop engine from the provider and you may install it on your own hosting. You actually will need a hosting for that. You install it and then install the PrestaShop theme, the design theme, then you add the products and you actually manage your online store. Actually, there’s a lot of options that are free on the market, however, there’s a combination of the other factors, that makes PrestaShop so special. For example, one of the major differences and advantages of PrestaShop is that it’s very light-weight and fast. That’s very good for your store, that’s very good for the user experience. That’s actually very good for search engine rankings, because search engines love websites that are fast, that perform well so that’s one of the major reasons why PrestaShop became so popular. Is it easy enough for a beginner to use PrestaShop? The other reason is that PrestaShop is very, very beginner-friendly, it’s very hard to break something, and it’s very easy to set things up on your own, without ever using a programmer’s assistance or some sort of developers. It’s very easy to install it on your hosting by yourself, so that’s another major reason, and last not least is that PrestaShop has a very active community and active PrestaShop foundation. I mean, the official developers of the software. And, with the community it’s pretty much clear the community builds design themes and functionality modules for PrestaShop. With the foundation, this is less obvious, however, it’s also very important, because you really want to work with the software, provided by the company who takes a good care of it and who invests time and resources into building up the community, into the development of the product itself, so that’s actually a very important thing. Are there any limitations using a PrestaShop for my shop? However, I do have to say that PrestaShop does have its own limitations. For example, because of the beginner-friendliness and the simplicity of use, PrestaShop is considered to be less scalable than other options in the downloadable group. It’s especially lot less scalable than Magento, but that’s a whole different story. So, anyways, because of this, PrestaShop is considered to be a better option for small and medium online stores. It doesn’t work well for the stores with thousands and thousands of products, however, it is possible to use it. But still it will slow things down, it will be harder to manage the store, it will be harder to scale and do it all the right way. But, you know, it happens to be that the biggest share of online stores on the Internet are small businesses or medium businesses. That’s why PrestaShop is actually a good option for many of the users online and that hopefully answers the question. Feel free to ask any additional questions if you have, I’ll be happy to answer. I’ll see you next time, bye-bye and take care. This entry was posted in PrestaShop Tutorials and tagged ecommerce, Prestashop. Bookmark the permalink. How to Choose a Shopping Cart?